At 3D Ninja® we are not only one of the cheapest suppliers of 3D printing filaments, we also provide the best quality. 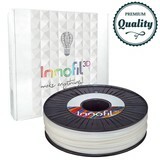 We only sell premium filaments so you can get the most out of your 3D printer. Do you have a question or need advice? 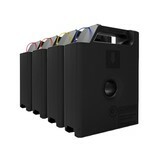 Contact us, we are happy to help. 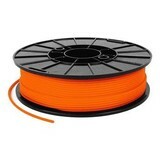 Filament Looking to buy filaments? What is the difference between filaments? 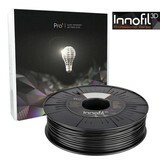 Below you will find a short description about all the different filaments we supply. 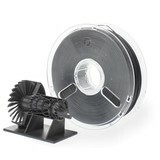 Pla filament is the most commonly used 3D printer filament. Door Because of its organic composition PLA filament is scent neutral during printing and not causing harmful fumes or odours. 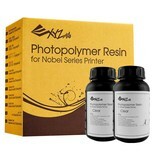 PLA is the most user friendly material to use and this is reducing problems during printing. 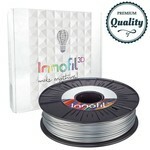 PLA filament can be used without a heated bed making it a perfect printing material on a wide range of 3D printers. ABS filament is a Industrial plastic. Its a lot tougher and stronger than PLA filament, car dashboards, bumpers but also lego bricks are made of ABS plastic. ABS is a lot tougher to print than PLA and reacts strongly to temperature fluctuation. Printing with a heated bed is required. Polymaker is one of our favourite filament brands. 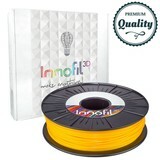 Thanks to a large research and development team and because of the use of high quality materials this brand is known worldwide as one of the best premium filament brands. Polymaker is a very high quality filament brand that will definitely improve your print quality and increases the life expectation of you 3D printer. PetG filament is a plastic in between PLA and ABS. It’s almost as easy to print as PLA filament but has the toughness of ABS filament. PetG filament does not need a heated bed to be printed. Nylon filament is a very tough filament to print. Nylon attracts water and before printing it is key to heat the filament up in an oven. The filament is very sensitive for temperature changes and this makes it an hard to print filament. Ninjaflex is one of the most well know filament brands out there. Ninjaflex is very flexible but this also makes it an hard material to print, a direct drive extruder is in most of the times needed. Zortrax has his own filament range designed for the Zortrax M200 and Zortrax M300. The Da Vinci filament range is created by XYZ Printing and is designed for their Da Vinci printer range.